Luminous has both Polycrystalline and Monocrystalline Solar Panels which are one of the most efficient and reliable Solar Panels with IEC certification with best performance warranty of 25 years solar power generation. 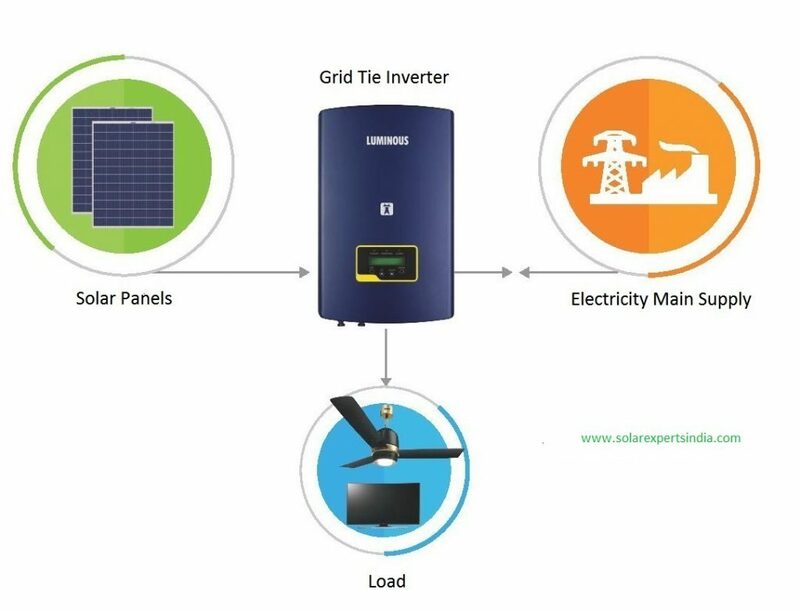 Luminous Solar has complete range of solar products which are use in solar systems On-grid Solar Power Plant, Off-grid Solar Power Plant and Hybrid Solar Power Plant. Best in class conversion efficiency. More light absorption with the anti-reflective coating and back surface field (BSF). Better module protection with the advance EVA encapsulation. Strong lightweight Aluminum frame design offers high torsion resistance against wind & snow loads. Luminous Grid-Connected Inverters are Safe and Efficient. The NXi range from Luminous is available in single and three phase configurations. With best-in-class reliability and compliance to safety standards, the solar inverters are available in capacities from 1kW to 50 kW. Maximum Power Point Tracking (MPPTs) to extract up to 30% more power from the panels, minimizing the impact of shading and increasing efficiency. Anti- Islanding Protection disconnects the inverter from the grid during power failure preventing any electrical shock to the linemen at work. IP65 Protection Designed to work in tough weather conditions. Flawless operation despite dust, rain or extreme temperature variations. MNRE & IEC Compliance Complies with MNRE recommended standards IEC - 61683, IEC – 60068, IEC – 61000, IEC – 61727, IEC – 62116. Remote monitoring multiple modes of connectivity (GSM/Wi-fi) for remote monitoring enables proactive maintenance. Luminous Grid Tie Inverter has 5 years warranty and > 97% Efficiency. Luminous POWER CONDITIONING UNIT(PCU) High Capacity & Control The NXT range of PCUs is the ideal solution for Off-grid applications. Designed to offer control, the PCU intelligently optimizes battery charging and power to load among Solar, Battery and Grid power. 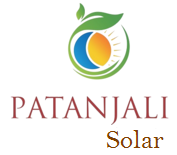 Available from 1kW to 10kW. 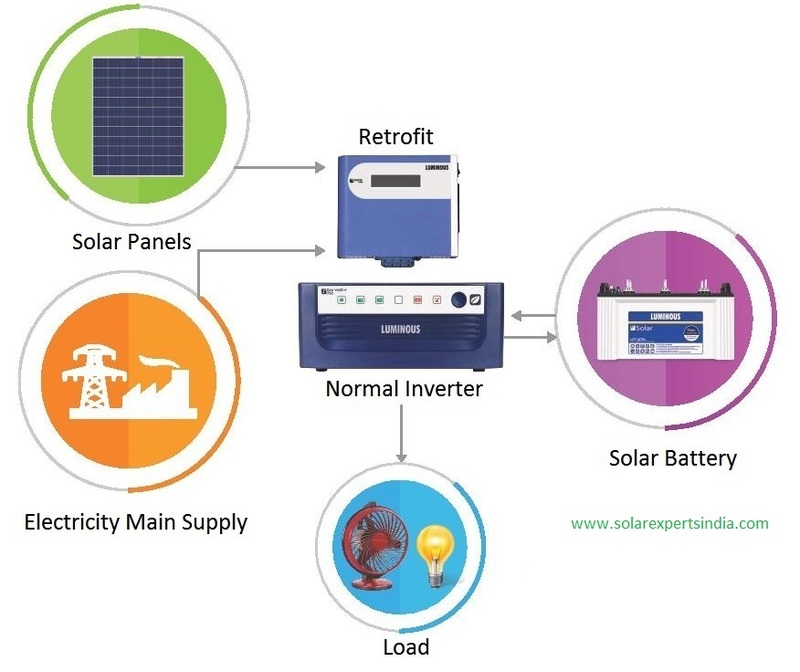 Priority Settings Priority settings allow the user to choose among reduced grid dependency & energy savings, enhanced backup and autonomy from the grid. Guaranteed Safety Comprehensive protection features include short-circuit, reverse polarity, battery over-charge etc. User-friendly Display A user-friendly display communicates important parameters like discharge time, grid availability, selected priority setting etc. MNRE & IEC Compliance Complies with MNRE recommended standards IEC – 61683, IEC – 60068 – 1,2,14,30, IEC – 60529. Maximum Power Point Tracking MPPTs extract 30% more power as compared to UPS with PWM charge controllers. Run Heavy Loads Runs heavy loads like Geyser, Petrol Pumps, Photocopiers, Dental Chairs etc. Intuitive Display Easy to understand display shows the status of mains availability, battery charging, battery level, etc. Guaranteed Safety Comprehensive protection against short-circuit, reverse polarity, battery over-charge, and battery deep-discharge. Pure Sine Wave Output Ensures noiseless operation and safety of connected appliances. Solar Optimization Technique Solar optimization technique extracts maximum power by intelligently prioritizing solar over the grid. Four Stage Charging 4-stage smart charging ensures fast, safe & efficient charging and longer battery life. LCD Display User-friendly displays communicate information like battery Charging Status, Charging Source, Total unit savings etc. MCB Protection World class MCB ensures your UPS and connected loads stay protected from short circuits. Luminous Solar batteries are designed for use in solar systems are built to last longer Lead acid batteries are mainly used as energy storage for solar battery banks. Off-grid solar power systems require battery banks to store energy for times of frequent power cuts. Luminous Solar Batteries are C10 rated deep cycle batteries specially designed for longer back up. Range Available - LMLA Tubular 20Ah to 200 Ah. Very Low Maintenance Topping up frequency: Once in 8 to 10 months. High Temperature Performance Can handle extreme weather conditions. Long Design Life Long cycles (1500@80% DOD, 5000 @20% DOD). 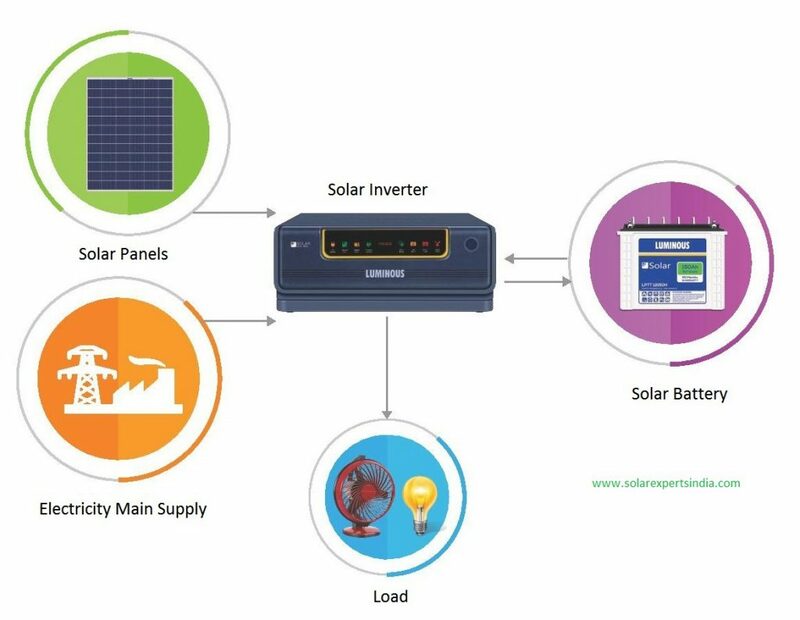 Luminous solar inverter the Solar Ready UPS NXG range is a hybrid UPS range that intelligently uses grid and solar power. With the ability to operate in a wide voltage range, NXG is the ideal starter solar solution for homes. Available from 300VA to 1500VA. 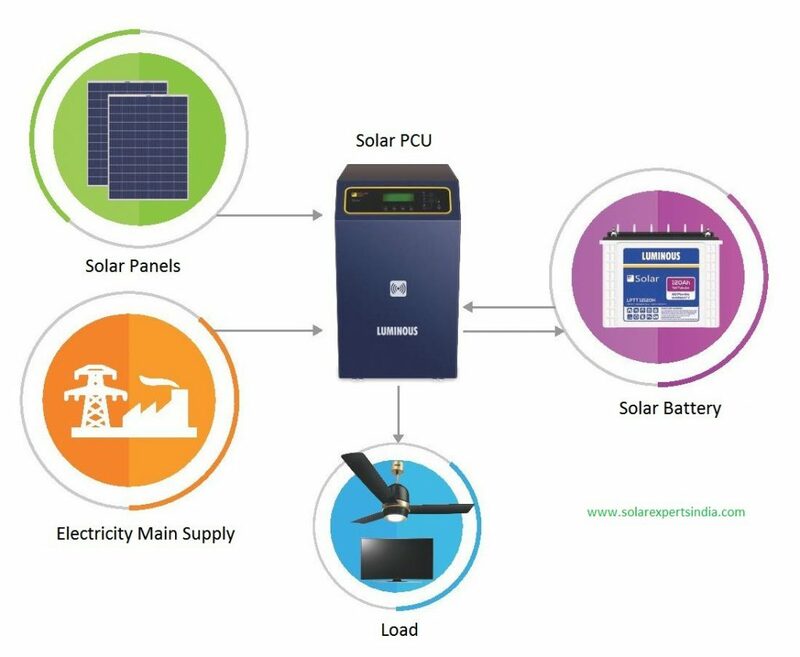 ISOT Technology Intelligent Solar Optimization Technique (ISOT) maximizes solar energy usage in both backup and charging mode of operation. Safety and Protection In-built protection against deep discharge, overcharge, excessive current and short-circuit. ECO and UPS Mode Choice between Eco mode that conserves battery (Ideal for low voltage areas) and UPS mode (Ideal for computer loads). Luminous Charge controllers provide an easy upgrade to solar for existing users of DC loads. 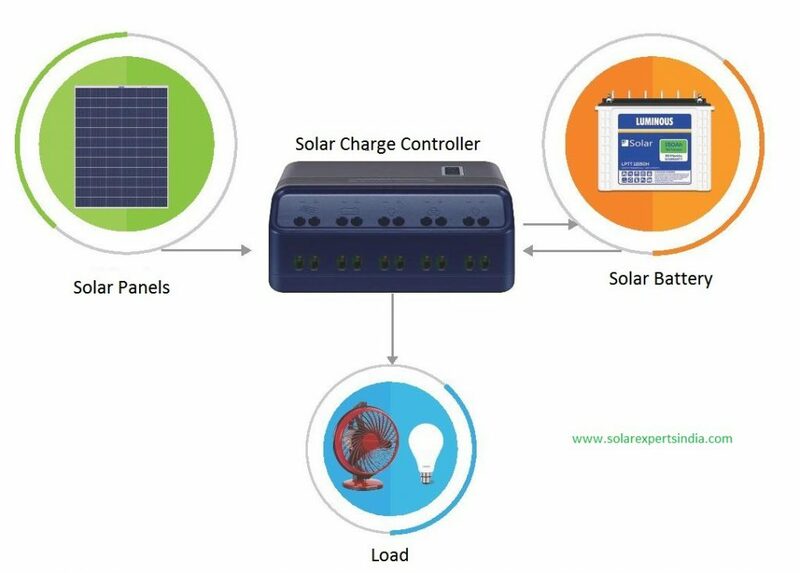 Protection Against OverCharge and Reverse Current Charges batteries from solar panels without permitting overcharge and also prevent reverse current flow at night. USB Port Charge your DC devices like Mobile, Tablets etc. directly without using an adapter.